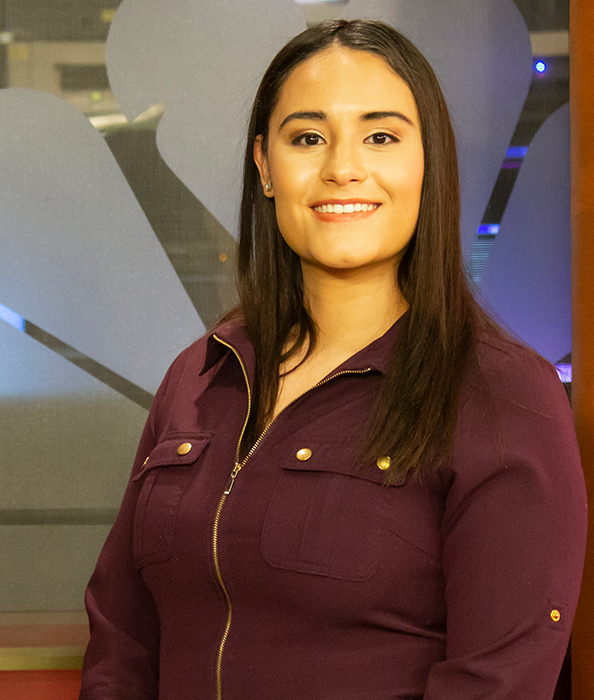 Claudia first found a passion for news when she was just a child. She grew up on Long Island in New York, not far from the city. The first time she visited Rockefeller Plaza, she knew that she wanted to live the fast-paced and adventurous life of a reporter. She went on to study journalism, communication and interdisciplinary studies at both Florida Gulf Coast University and Florida Atlantic University. She concluded her studies at Florida Atlantic and received her Bachelor’s degree. Prior to graduating college, she completed internships with ReachFM radio and college athletics. She also volunteered with ESPN3 as a production assistant, at her university. She was a member of the NCAA swim team for her first two years of college at Florida Gulf Coast and was a competitive swimmer for 11 years total. Outside of the newsroom Claudia enjoys trying new food in Rapid City, swimming, rollerblading, reading and watching anything funny. She is married and moved to Box Elder with her husband Christopher in March of 2018. She is passionate about the community, education, and children.